Joe Corley is personally instructing classes and guiding the instructors at ATLANTA EXTREME Warrior in the East Cobb / Roswell / Marietta location. There are but a handful of men in the martial arts anywhere in the world who have accomplished so much for the furtherance of the martial arts philosophy and physical applications. Master Corley is a native Atlantan, a HALL OF FAME black belt and sports entrepreneur with a mission. A master instructor more than 4 decades teaching experience in the martial arts and the producer of PKA karate & kickboxing for television, Joe Corley’s life-long purpose for being is to share with everyone the positive feelings of confidence, courage, intensity, focus, personal discipline and integrity engendered by good martial arts training and competition. He has done that through the promotion of the martial arts in his Atlanta chain of studios and on television around the world. 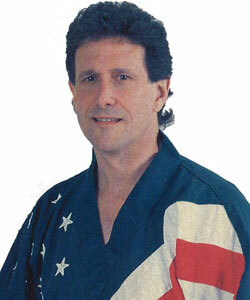 Joe Corley began his karate classes at age 16, earned his black belt at 19, opened his first studio at 20, then won three US titles in his first three years in operation; he founded the Battle of Atlanta at age 23 and has fervently spread the word ever since. Master Corley has sought to share the most practical physical karate movements available and combine those real life defensive techniques with modern American positive philosophy. He and his team are proponents for and teach in their curricula Stephen Covey’s Seven Habits of Highly Effective People, Seven Habits of Highly Effective Teens, The Leader in Me, First Things First and Principle Centered Leadership. , considered the most prestigious in the arts, as a tribute to the variety of his contributions to the arts. There he joined such dignitaries as friend Chuck Norris, Bruce Lee and other martial arts legends, whose life’s works have impacted so many. Master Corley was also inducted into the Tae Kwon Do Hall of Fame in 2007. As a fighter, Joe Corley won three United States Championships in point karate and went on to retire as the number one ranked MiddleWeight Contender in the world. Now a 10th degree black belt in American Karate, Mr. Corley has taught more than 40,000 men, women and children in his chain of Atlanta studios. As a black belt in Tang Soo Do and tae kwon do, he opened Atlanta’s first full time karate studio in 1967 while he was still competing and expanded the studios to become the most well known martial arts chain in the Southeast. In 1970, Joe Corley founded the BATTLE OF ATLANTA, now considered one of the most prestigious open karate tournaments in the world, which celebrated its Golden Anniversary in 2018. Mr. Corley also became the voice for American Karate on national television, where he produced the programming from the announcer position and did commentary with long-term friends like Chuck Norris and Pat Morita on NBC, CBS, ESPN, SHOWTIME, USA NETWORK, SPORTS CHANNEL AMERICA, PRIME NETWORK, SPORT SOUTH and on international television syndication. As expert analyst and host for PKA Karate World Championships on network, cable and pay per view, Mr. Corley became synonymous with the sport to the millions of fans who followed the 1,000+ hours of coverage on television. With events originating from 50 diverse locales–50 cities in the United States, Canada, France, Belgium, South Africa, South America and the United Arab Emirates–Joe Corley has educated 3 generations of sports fans. Master Corley has been named Official Karate Magazine’s Man of the Decade, is found in the Who’s Who in Martial Arts and has received more awards in the martial arts community than anyone can count. But the thing that continues to drive Joe Corley is the knowledge that he can use his experience and accomplishments to share with everyone in Atlanta and around the world on television the great feelings of confidence, courage, discipline, honor and integrity that come from learning the martial arts properly. Master Corley continues to strive in order to achieve his life-long goals, bringing karate, tae kwon do and kickboxing to as many people as his personal efforts and television campaign can reach. His global PKA television projects provide the forum for spreading the right messages internationally.